You read that right, after 58 days of drinking nothing but the juice of fruits and vegetables, mostly vegetables, I have begun to incorporate more solid foods back into my diet. There won’t be any intel or anything like that in this report, it will be more of a personal and FYI post for those who are perhaps interested in learning more about the experience of long-term juice fasting. Here you will find my 30 juice report video and article. It was an amazing and cathartic physical and metaphysical experience. One that I would have laughed at if someone told me I would be doing it even a few years ago. Me? Only drinking juice for 2 months? Psh. Now I have my health back and so far I can eat anything I want, assuming it’s vegan and preferably raw of course. Just for experimental sake I prepared and baked some sourdough bread for the first time. This bread is different because of the probiotics in it that break down the gluten and make it much easier to digest. It still has gluten though. I felt nothing, no pain, no gurgling, no itching, no reaction at all, ništa. I think I have cured my gluten intolerance. In my research I found that people with food allergies have poor gut health. Everyone is consuming lifetimes worth of anti-biotics, totally decimating the gut flora. This is what happened to me. 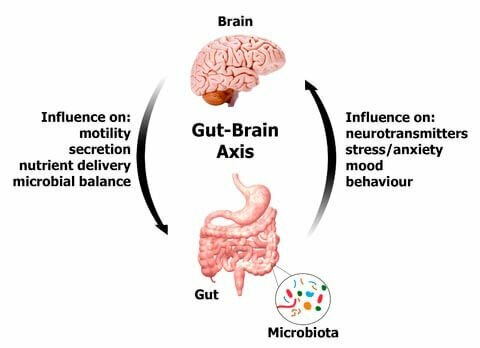 Your gut is your second brain. It possesses 200-300 million firing neurons and is where 70-80% of your immune system is. Okay now we are getting somewhere. Every time you eat something and have a reaction like I did, it could be that your gut has been so damaged that food particles get through the gut lining and go on a field trip through your blood system and your body identifies it as a foreign object and attacks it. When you heal the gut and add pro-biotics like I did, these problems disappear, because now your healthy bacteria are in much greater numbers and are doing what they are supposed to do, break down and assimilate the food you eat. I wish I found this information a long time ago! I didn’t spend a crap ton on pro-biotics though, I made my own, which are so much more powerful than you can imagine, just by crafting sauerkraut. All you need is cabbage, salt and water. A doctor sent his pro-biotics to be measured and counted in a lab and the lab determined that the batch they received from him contained tens of trillions of probiotics. You couldn’t get that close with the most expensive and potent bottles in grocery stores anywhere. And it can be ready to be eaten in 3 days. Forgive me as I know this report is more educational than personal at the moment but I feel like this information needs to be shared far and wide as I know many people with gluten intolerances and other food allergies that I know would benefit from this information and testimony. I am experiencing it first hand and sharing it with all of you. My breathing improved greatly, I didn’t think it was a problem before but wow! As I wrote in the previous report, I did a total clean out of my apartment during the fast. I was cleaning out myself, and this caused me to be very motivated to clean out my surroundings. I went through every little crevice and inch of my apartment and cleaned out everything I didn’t need or want. It was a lot more than I thought. 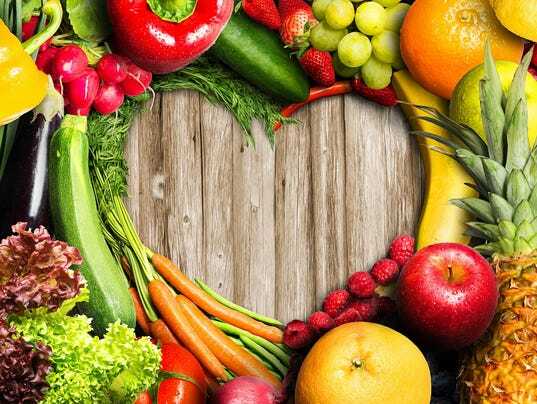 There is something magical about fruits and veggies that is integral to our biology and I believe the Cabal knows this and uses it to destroy our health and our minds. Nature has everything I needed to heal myself. No animal products at all. Just plants. I will conclude this report by encouraging those reading to incorporate more pro-biotics into their diet as I believe they will relieve many problems they are experiencing. So much of our health lives in the gut. That is the end that this journey has taken me and I feel a responsibility to share what I’ve learned with others who may be suffering needlessly. Thank you all for reading and much love and abundant health! Congratulations, Jonathan, for achieving such a health improvement on many levels. And going those 58 days while juicing, clearing inside and out. Good gracious me, I don’t know if I could persevere for so long on juices only. I’m happy for you that it helped you much and brought you in touch with probiotics in the most simple form, sauerkraut. There’s another salt-fermented product that has an effect on the restoration of acid/alkalin balance and that’s mebosi. Fermented plums on salt. Specially with tummy grumbles and other annoying ailments caused by difficult digestion or some component in the diet that doesn’t fit. I’ve made mebosi last year, with damson plums I found in the UK in the wild. These are mall size purple plums. Mebosi is a Japanese probiotic and it’s sold in healthfood shops, mainly as pasta. It’s close to the effect of miso, both fermented and very salty. Both loose their quality when heated. I’m not sure what happened to one of my comments, where I gave my nutritionist feedback and recommendeded to start, inchy by pinchy, with solid food. I offered it based on the symptoms you shared, which sounded you began to use up too much of your energy and grew very sensitive. Maybe I wrote that comment in my mind only and forgot to offer it here. At any rate, I wish you much glow, in body and living space and hope that you find a form of daily activities that suit you, in due time, making a living while loving life.